There are only 2 guarantees in life… Death and Taxes. We have struggled quite a bit from losing our dear teammate and friend, Donna, back in January of this year. She was such an example and strength to all of us here at RPMToday. She carried a large part of our team and helped our everyday life to be much richer. As time goes by, we are able to get the work done timely and efficiently again, but the aching still lingers for us and for those who knew her. Taxes are due in a few weeks and that often stands as a looming fear and symbol for many. We have learned that bearing down and getting it done as soon as you can allows for a freedom of thinking. This allows you to move forward and past the burden that taxes often have on us. Although it feels like the government owns us by taking so much of our hard earned money in our pay, it’s all about the perspective that we have. Here is an article that shows many other countries that have much higher taxation on their people than what we have here in the US. When putting the right perspective on things, we can have a much better attitude and outlook on what taxes we pay to our government. Now, if we could get the government to be more efficient with the funds that they do receive through taxation, we would all have a little less to complain about. https://www.rpmtoday.com/wp-content/uploads/2013/10/rpm-today-logo1.png 0 0 Lee Rushton https://www.rpmtoday.com/wp-content/uploads/2013/10/rpm-today-logo1.png Lee Rushton2019-03-26 23:00:112019-03-26 23:00:11Two Guarantees in life. Preventative maintenance beats reactive maintenance any day of the week. Small, consistent investments in maintaining the quality of your property will save you time and money not only in the short term, but also in the long run. You can avoid the headaches surrounding unexpected fixes by following this summer maintenance guide from Real Property Management Today. While small weeds and tree shoots may look harmless at first, the damage caused can be pricey. During summer months, the team at Real Property Management Today plan regular property walk-throughs to ensure growth is not occurring beneath concrete surfaces. They know the importance of avoiding water line intrusions, pavement fixes and resurfacing due to overgrowth. Also, watch for growth encroaching on walls or houses on other properties, or nearby AC units or power lines. Overgrowth of this kind can prove annoying at best and hazardous at worst. Just make sure that when you hire a tree service company, you hire someone with proper experience, licenses and insurance. Keeping your landscaping in check is an important part of your summer task list. Replacing AC filters monthly is a good standard practice. However, if your tenants do not keep up on monthly replacements, Real Property Management Today ensures that unit filters are fresh before and after the summer heat. This step is vital to increasing the life of your systems. Replacing filters as well as getting in your annual servicing of the unit before the brutal heat of the summer hits will keep your tenants happy and your wallet fuller by avoiding early system failures. In addition to your AC units, quickly checking other electrical features for damage will help you avoid fire hazards or potential problems. Insects can be an issue for any rental, no matter how clean the property is or the tenants are. Real Property Management Today takes precautions to curb the problem before it becomes a full-fledged infestation. During summer months they can take care of repairs to the property windows and screens. Tears in screens or gaps in frames can allow for bugs to invade the property. Making these small repairs upfront will help you avoid the issue altogether. Regular pest control extermination can also prevent long-term pest problems and keep tenants happy. A little bit of maintenance goes a long way as an investment to avoid larger, long-term problems. Before you begin your summer fun, follow these few tips for preventative summer maintenance. Real Property Management Today knows that one of the best ways to avoid middle-of-the-night calls and tenant and management frustrations is by being a proactive landlord. Schedule a quick review today. People don’t care anymore. We are all so overloaded by media that we overlook those in need around us. Its people like this lady that make the world a better place. Inspections should not be dreaded by Tacoma area investment property owners, and instead should be looked upon as a time to make improvements on your property. It can be a way to make more money, make your properties safer, and even spread out costs. For do-it-yourself landlords, it can be hard to know exactly what you are looking for when conducting inspections, so we have put together some tips from the Tacoma property management pros. Placing property inspections or reviews on the back burner is doing a disservice to yourself, your tenants, and your property. It’s not safe, and in many cases, it isn’t legal. One of the reasons we have become a leader in the Tacoma property management industry is because we take the time to carefully check the property during routine inspections for issues that can easily escalate. This generation has caused a great commotion over heavily distracted drivers. Reports have shown large increases in accidents from people being distracted while driving due to cell phone use while driving. This link Shows some great alarming statistics on why we shouldn’t text and drive. The most alarming fact is that 11 teens die daily as a result of texting while behind the wheel. Buckle up and drive safe. https://www.rpmtoday.com/wp-content/uploads/2013/10/rpm-today-logo1.png 0 0 Lee Rushton https://www.rpmtoday.com/wp-content/uploads/2013/10/rpm-today-logo1.png Lee Rushton2016-07-17 06:24:182016-07-17 06:24:18Thoroughly Scrubbing and Screening Tenants. When hiring a property manager in the South Puget Sound area, it is important to weigh all variables. Wether your home is in Tacoma, Puyallup, Gig Harbor, Olympia or even Port Orchard, RPM is there to help you. And we are growing nationwide to assist more landlords across the continent in epic proportions. See the link below in the latest release about how Think Realty has named RPM the franchisor of the year. We do great things on a grand scale, and on a small scale in your local market. https://www.rpmtoday.com/wp-content/uploads/2013/10/rpm-today-logo1.png 0 0 Lee Rushton https://www.rpmtoday.com/wp-content/uploads/2013/10/rpm-today-logo1.png Lee Rushton2016-05-10 18:57:512018-04-30 23:06:28Proof is in the Pudding. Who doesn’t want to save a little money and get free stuff? We all know there are little tricks around our home that can help us save on energy cost. However, did you know that there are companies out there that will help you look for those energy savings? Puget Sound Energy has partnered with Eco Consulting to do just that for you. Please see the attached flyer for information about the services they provide. These services are of no cost to you and they will bring you up to 20 light bulbs and two shower heads for free to help cut the cost of your energy bill. So, again I ask, who doesn’t want to save a little money and get free stuff? https://www.rpmtoday.com/wp-content/uploads/2013/10/rpm-today-logo1.png 0 0 Lee Rushton https://www.rpmtoday.com/wp-content/uploads/2013/10/rpm-today-logo1.png Lee Rushton2016-03-16 19:15:422016-03-16 19:15:42Free Stuff! Everyone has it and not many like to do it. 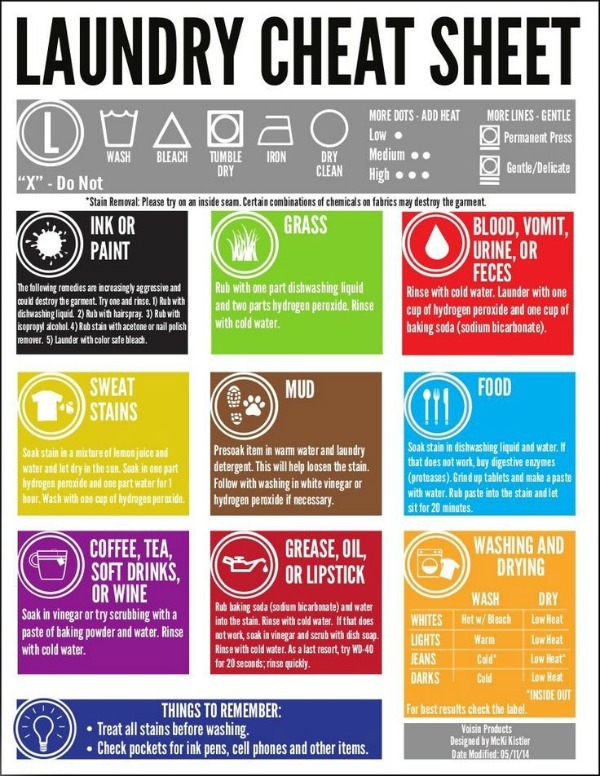 But there are many ways to be efficient at it and having best practices in your laundry will help you in your daily, weekly, or monthly routine. The Dryer Lint trap. This is crucial to keep clean and clear. The dryer lint trap plays a crucial role in the drying process. It is there to catch debris from clogging up the ventilation system, however, if not properly maintained, itself can be the main reason for blockage. Check out this short video for a brief tutorial on how to make sure you clean it right. Folding a Fitted Sheet. Most people don’t know how to fold a fitted sheet. It makes a very awkward storage in your linen closet when you have a bunch of stuffed up fitted sheets piled in there. To save space and for more organized storage, check out this short video. Storing and Organizing Laundry. Folded sheets and towels tend to topple over if not folded well or organized perfectly. Over time we can also lose track of set of sheets. Check out this site to see how to best organize your sheets. 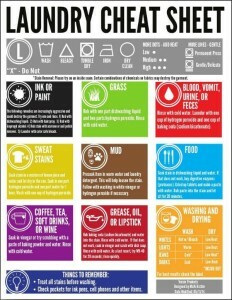 Here is a cheat sheet for other Laundry tips. https://www.rpmtoday.com/wp-content/uploads/2013/10/rpm-today-logo1.png 0 0 Lee Rushton https://www.rpmtoday.com/wp-content/uploads/2013/10/rpm-today-logo1.png Lee Rushton2016-03-01 20:05:522016-03-01 20:05:52Laundry, tips and tricks of the trade.